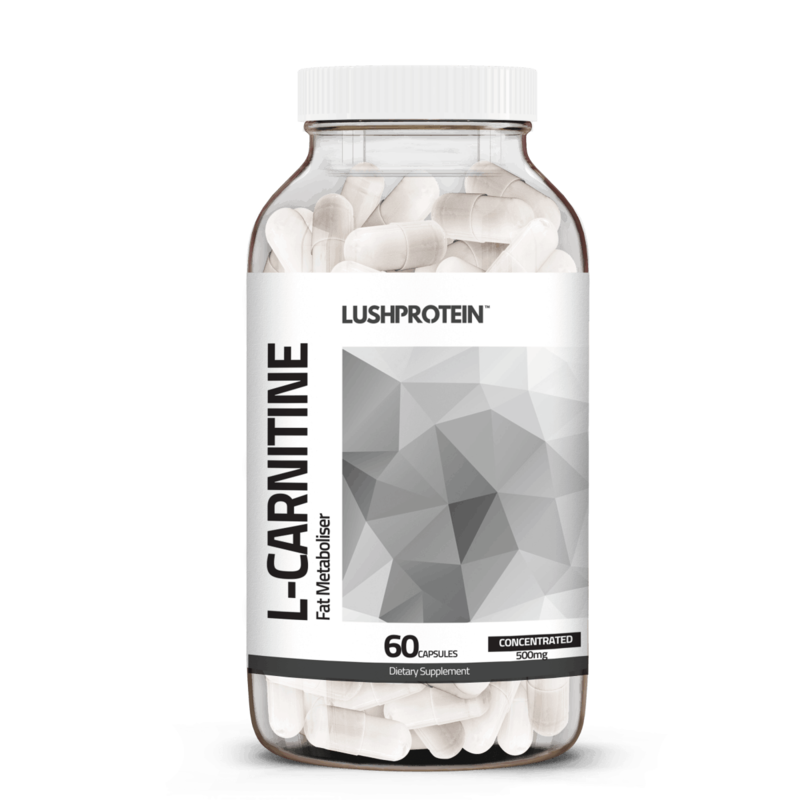 LushProtein™ L-Carnitine is used by the body to convert fat into energy production. It not only helps burn fat, but assists in turning it into energy, giving your body a boost of energy when you need it most. L-Carnitine also helps increase your metabolism, which allows you to burn even more fat, in turn further boosting your energy levels and performance in the gym. These benefits make it very popular for those looking to lose weight while retaining as much muscle as possible. Now available in Singapore! ✓ Amplifies metabolism & fat burning. ✓ Utilise stored fat for energy more easily. 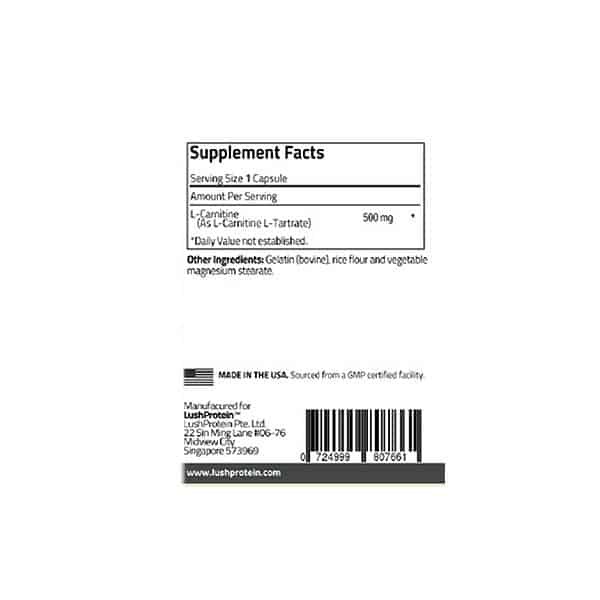 L-Carnitine is derived from the amino acids lysine and methionine and found in highest levels in tissues that use fatty acids as their main fuel; such as the skeletal and cardiac muscles. Take 1 capsule 1 to 3 times daily preferably with a meal.